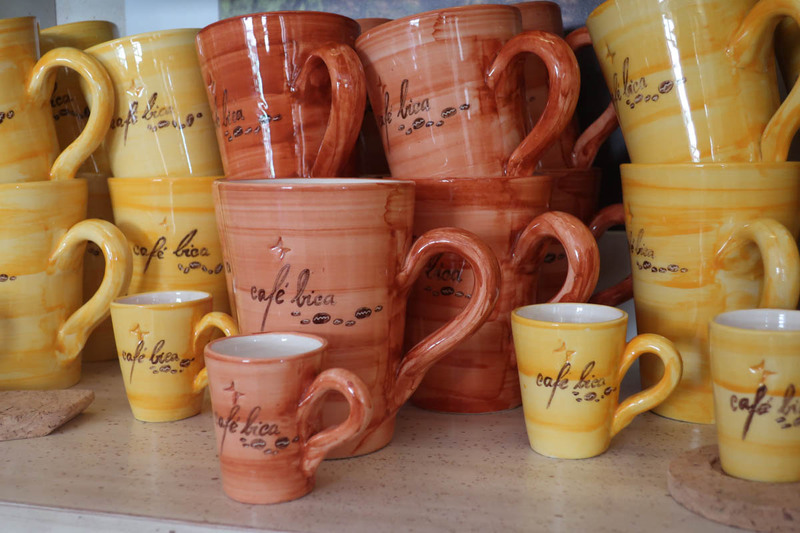 For many years, the Algarve was a very rich region in terms of arts and crafts. According to João Ministro, from the TASA Project (Ancestral Techniques - Modern Solutions), with whom VILA VITA Parc collaborates on a regular basis, only in the small Cachopo village, located in the mountains in Monchique, there were records of about 70 women in the 1950s working in the art of weaving. Nowadays, there is only 1 or 2 to be found. 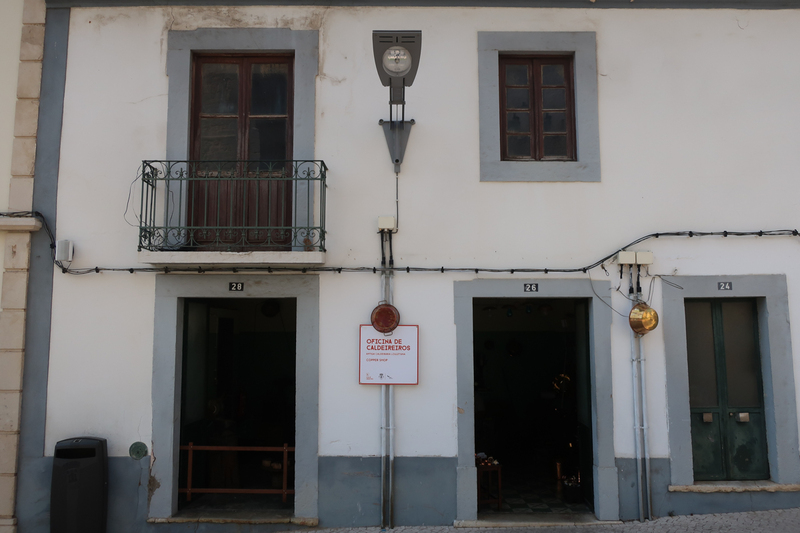 In the city of Loulé, which once had about 15 working potteries, there is only one working pottery and of the 4 ancient coppersmith shops, none has survived. The arts have been replaced by fast-profit activities, such as tourism, which forced the younger generations to leave the inner Algarve (where most of the arts & crafts were from) and move to the coast. For years, the arts survived by being passed from generation to generation. Nowadays, most of the artisans connected to the art of basketry, for example (one of the few surviving arts), are all aged 70 or more. This means that without a younger generation that shows some interest in the craft, it will be doomed to extinction, after the disappearance of the last artisan. And this is where the TASA Project comes in: a project based in the city of Loulé, aiming to “bring strategic innovation to the local arts and crafts, positioning it as a promising career”. Through a number of initiatives that join design and tradition, TASA is looking to attract a younger generation to the Algarve’s arts and crafts, adding more value to it and thus contributing to its survival and the avoidance of an almost certain extinction. The Project goes in search of the last artisans, often “hidden” in the recesses of the mountains in the Algarve, to study their art and to find a way to develop functional and useful objects, produced according to the traditional arts and often inspired in local existing objects, that can be made profitable. Another activity looking to promote the traditional arts consists on small workshops that include visits to the artisan’s shops and the organization of “Residências”: events that last for a minimum of 1 week joining artisans of several arts and even nationalities. During that time, they work together towards a common goal. The goal of the last “Residência” was to organize a dinner which was called “Helped Table” that involved the collaboration of a group of local and Scottish artisans. The participants had to build all the objects and furniture that would be necessary for the dinner experience: table, chairs, cutlery, pots, amongst others. 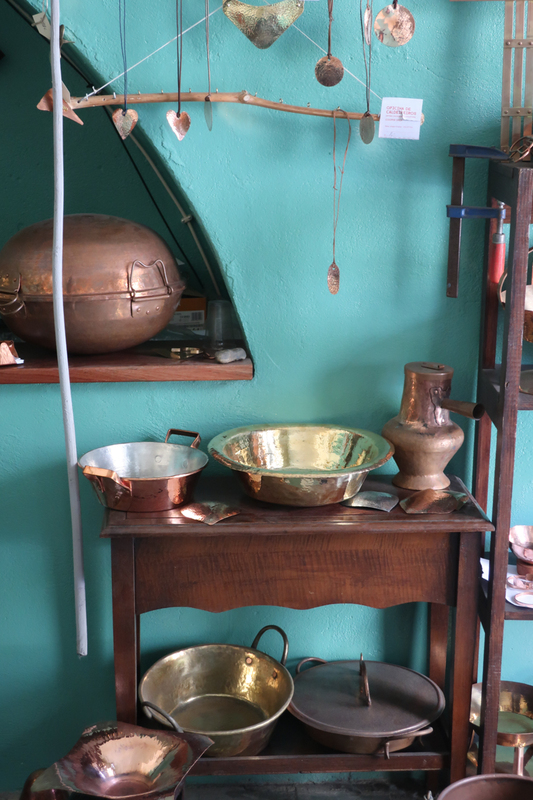 The need to develop one particular object - the pot - ended up reviving a long-lost art in Loulé: the coppersmith art. Analide Carmo, a local artisan, 70 years old, tells us how after so many years he was brought back to the art in which he worked since he was 16 years old, before being forced to abandon it to guarantee his livelihood as a worker in a cement plant. He learned the art with a master coppersmith at 12 years old. Nowadays, his grandchildren show no interest in the art, but he has found in the TASA Project a way to pass along his knowledge to whomever may one day proceed with the art. Two trainings have already taken place, resulting in at least 2 apprentices actually working on the art as we speak. 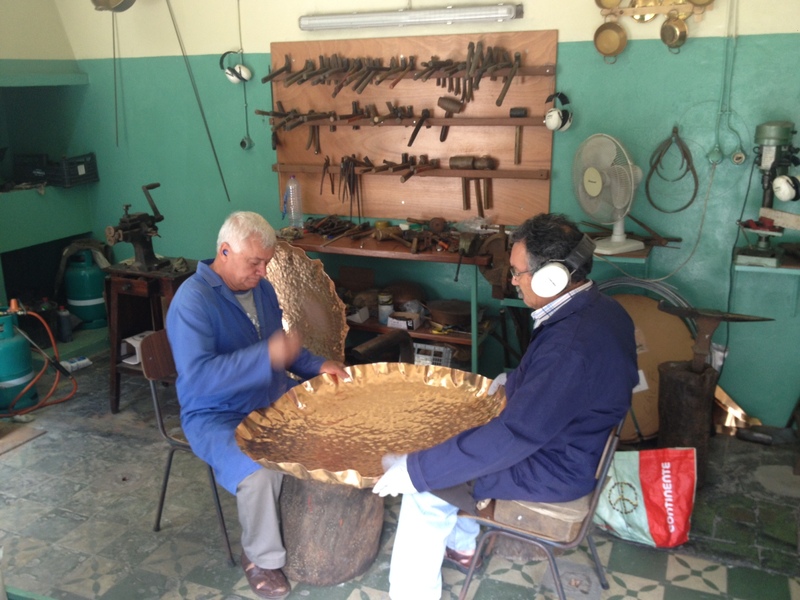 Analide Carmo himself is back to working on it regularly in a shop kindly offered by Loulé’s Town Hall. VILA VITA Parc, always passionate about Portugal and the Algarve in particular, is immensely proud to be able to be considered an impeller for the local arts, by incorporating several elements of the Algarve’s soul and culture into the Resort. In the rooms, guests have access to traditional Algarve straw baskets to transport their belongings to the beach or the pool; at the restaurants, the salt and pepper shakers are made out of cork and ceramic; at Café Bica, coffee is served in artisanal cups and all over the resort there are local Porches ceramics which give a unique touch to an overall elegant and sophisticated atmosphere. Recently, VILA VITA Parc has acquired a very special artisanal piece: a “cataplana” with a 90-cm diameter, made entirely of copper and produced in an extremely traditional way by the still agile and talented hands of the artisans in the only existing coppersmith shop in Loulé: the shop currently headed by artisan Analide Carmo and supported by Loulé’s town hall and the TASA Project. The production process took about a month to be completed, resulting in the largest “Cataplana" ever made by them, which will be proudly used by VILA VITA Parc to cook the traditional Algarve dish with the same name. At a time when most of these objects are produced industrially and therefore in an impersonal way, this “Cataplana” represents the preservation of an art that is part of the local culture and soul of the Algarve and that as such should never have been allowed to disappear. 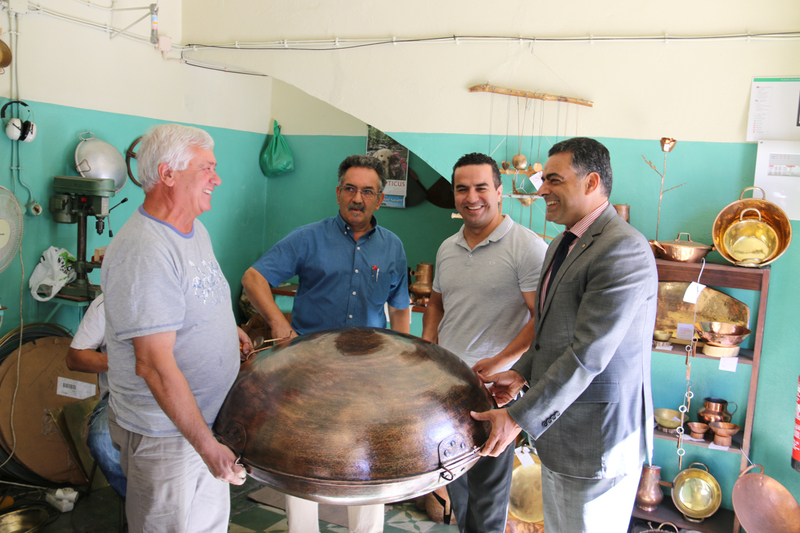 The “Cataplana” was officially delivered on 15 September by the artisans themselves to Óscar Correia and Paulo Fortes, F&B Director and Executive Chef at VILA VITA Parc.